The Court of Protection celebrates its tenth birthday this week. The key parts of the Mental Capacity Act 2005 (“MCA”) came into force on 1st October 2007 introducing a new Court of Protection with a combined jurisdiction covering both property and financial affairs and health and welfare matters. From a small start with a handful of nominated judges sitting in one floor of Archway Tower in North London, the Court has developed a nationwide presence with a large number of nominated judges sitting in hearing centres across England and Wales. To give some idea of the scale of its current workload, the most recent statistics show that between April and June 2017 some 7,623 applications were made to the Court and 8,911 orders were issued. The nature and distribution of the court’s work has changed considerably over the past decade, with a gradual but inexorable increase in the number of welfare applications and, from 2009, the introduction of applications relating to the deprivation of liberty safeguards. Nonetheless, the number of property and affairs applications continue to exceed welfare cases by a considerable margin, with around one half of all applications to the court being applications for the appointment of a deputy for property and affairs. In the course of a short article it is impossible to do justice to the wide range of areas of the law that the cases before the court have covered over the past decade. Instead I focus on a few areas which may be of particular interest to lawyers specialising in property and affairs work. 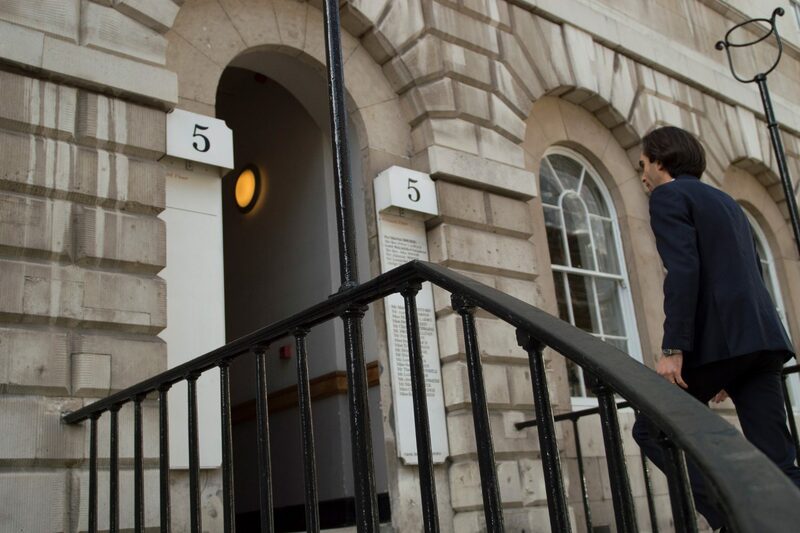 Members of 5 Stone Buildings have appeared in many of the cases referred to and have considerable experience in all areas of Court of Protection work. In connection with its property and affairs jurisdiction, one of the more difficult questions that the Court has had to consider over the past 10 years is the application of the statutory “best interests” test to property and affairs decisions, and in particular to dispositive decisions such as the making of a statutory wills or gifts. Prior to 2007 the court would seek to apply the former “substituted judgment” test and try to determine what decision P would have reached if he or she had capacity. However the MCA 2005 replaced this with the statutory “best interests” test which applies to all decisions made for or on behalf of an incapacitated individual. At first blush it may not always be clear why it would be in the best interests of an incapacitated person to make a will or to give away their property. The factors which the Court should take into account when assessing best interests in such cases and the extent to which P’s wishes and feelings should be given weight as part of that process are something that have been explored and considered by a number of judges in successive cases, and in particular in the judgments of Lewison J in Re P  Ch 33, Munby J in Re M (Statutory Will)  1 WLR 344 and Paul Morgan J in Re G(TJ)  WTLR 231 which remain the leading authorities on this area of the law. Nevertheless some issues, for example the extent to which it is in P’s best interests to be remembered “for doing the right thing”, continue to be controversial. Further guidance on the extent to which P’s wishes and feelings should be taken into account in statutory will applications was recently provided by Charles J in the case of Re ADS v DSM  EWCOP 8. Although these cases establish the broad framework within which the court will make its best interest decision, any assessment of best interests is of necessity very fact specific and the court’s reported cases over the past decade show that superficially similar cases may sometimes give rise to very different results. For example, in Re JDS  COPLR 383 Senior Judge Lush declined to approve gifts out of P’s personal injury damages which were proposed in the hope of obtaining a future IHT saving, yet in Re A  COPLR 297 the same judge permitted payments out of P’s personal injury damages to meet his siblings school fees. Also celebrating its tenth birthday this week is the Office of the Public Guardian which has responsibility for registering lasting and enduring powers of attorney and supervising deputies and attorneys. Again, the past decade has since a marked growth in the work of this body with 194,012 applications for the registration of a lasting power of attorney being received between April and July 2017. However, the growth in the number of attorneys and deputies has also increased the opportunities for financial abuse, an issue recently highlighted by the retired Senior Judge of the Court of Protection, Denzil Lush. One particularly egregious example of financial abuse – and by deputies – was the case of Re Meek  EWCOP 1, a case which made it beyond the pages of the law reports and into the national press. In that case two deputies had “ransacked” P’s funds making cash gifts to their family members and buying jewellery, cars and computers. They were removed from office and their security bond was called in by the Court, demonstrating the additional levels of protection that are available in cases where the default is that of a deputy appointed by the court rather than an attorney acting under an LPA. Not all property and affairs cases lead to the appointment of a deputy, and some recent decisions of Charles J have looked at circumstances where P’s funds might be placed in a trust structure instead. In PJV v Newcastle  EWCOP 87 and  EWCOP 7 the court considered the role that it should play where the Criminal Injuries Compensation Fund wished to place an award of compensation for P into a personal injury trust, whilst in Watt v ABC  EWCOP 2532 the Court considered the circumstances under which the court might approve P’s damages award being placed into a personal injury trust as an alternative to deputyship. The judge made clear that there was no presumption or starting point in favour of a deputyship and that the chosen means of managing P’s damages award was a best interests decision to be taken on the individual facts of each individual case. This decision may lead to an increase in the number of cases where a trust structure is preferred to a deputyship. In recent years much of the Court’s jurisprudence has focussed on issues thrown up by applications for the authorisation of a deprivation of liberty (either under the Deprivation of Liberty Safeguards which relate to hospitals and care homes) or under the Court’s more general jurisdiction to authorise such deprivations in other situations under MCA 2005 sections 4A and 16. The decision of the Court of Appeal in Secretary of State for Justice v Staffordshire County Council  EWCA Civ 1317 has made clear that deputies and attorneys who are administering personal injury awards that are being used to provide a private care package (and which objectively has the effect of depriving P of his or her liberty) have duties to ensure that steps are taken to have that deprivation of liberty properly authorised by the Court. This decision has obvious implications for professional property and affairs deputies. A further area where the Court’s jurisprudence has developed significantly in recent years is its jurisdiction under MCA 2005 Sch 3 to recognise and enforce orders of foreign courts relating to persons lacking capacity. The first of these cases to come before the court was Re MN  WTLR 1355 which involved an elderly lady with dementia who was habitually resident in California but who had been brought to England and Wales by her niece in circumstances which prompted the Californian courts to order her return. The Court of Protection agreed to recognise the Californian order resulting in P’s return to the USA. Later cases such as An English Local Authority v SW  EWCOP 43 have provided guidance on the meaning of “habitual residence” in the context of these international cases, and a series of cases determined by Baker J ( for example, Health Service Executive of Ireland v PA  EWCOP 38) concluded that the procedure can even be used to recognise and enforce foreign orders which have the effect of detaining persons against their will in England and Wales. Ten years on change is again in the air. The Court of Protection’s rules and procedures are currently in a state of flux, and new rules and practice directions are expected to be published very shortly with a view to coming into force before the end of this year. These are likely to reflect the procedures that have been piloted in contested welfare and property and affairs cases since September 2016. The pilot provisions do not apply to uncontested cases, applications by the Public Guardian, or to statutory will or gift applications, so in the context of property and affairs work their principal area of application has been in contested attorneyship or deputyship cases. However, the introduction, under the pilot, of dispute resolution hearings in such cases has helped prompt the early settlement of a number of disputes. Another possible future change will relate to the standard provisions as to costs. At the moment, the starting point under rule 156 of the Court of Protection Rules 2007 is that the general rule in property and affairs applications is that the costs of all parties are met from P’s estate. This means that parties do not always feel under quite the same pressure to avoid the costs of litigation as parties to general civil litigation. There is likely to be a public consultation looking at whether this rule should be retained or whether the court should adopt a different general rule (eg a starting point that all parties should bear their own costs, as is currently the position in health and welfare cases). On its tenth birthday the Court of Protection remains newsworthy, not least because mental incapacity is an issue which has the ability to touch the lives of everyone. A transparency pilot which commenced in 2016 has enabled the media and the public to attend hearings, and an increasing number of the Court’s judgments are published, usually with anonymisation of the incapacitated person concerned. As mentioned above, the issue of financial abuse by attorneys and deputies was covered by BBC Radio 4’s Today Programme in August 2017, whilst in September the landmark ruling of Peter Jackson J in M v A Hospital  EWCOP 19 drew headlines. This case determined that an application to court for authority to withdraw clinically assisted nutrition and hydration where P is in a minimally conscious state or a persistent vegetative state is not needed if P’s family and doctors all agreed that such a step is in P’s best interests. Ten years on from the introduction of the MCA 2005, the importance of the Court of Protection and the key role it plays in ensuring that the best interests of people lacking capacity are respected and protected are clear for all to see. Members of 5 Stone Buildings have participated in many of the cases referred to in this article. Christopher Tidmarsh QC appeared in ADS v DSM. Michael O’ Sullivan appeared in Re P and Re MN. 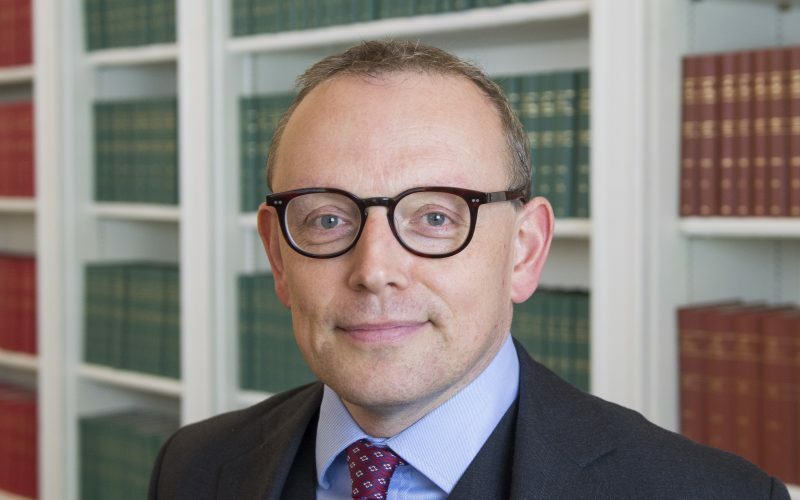 David Rees QC appeared in Re P; Re G(TJ); Re MN; Re Meek; An English Local Authority v SW; Health Service Executive of Ireland v PA; PJV v Newcastle and Watt v ABC. 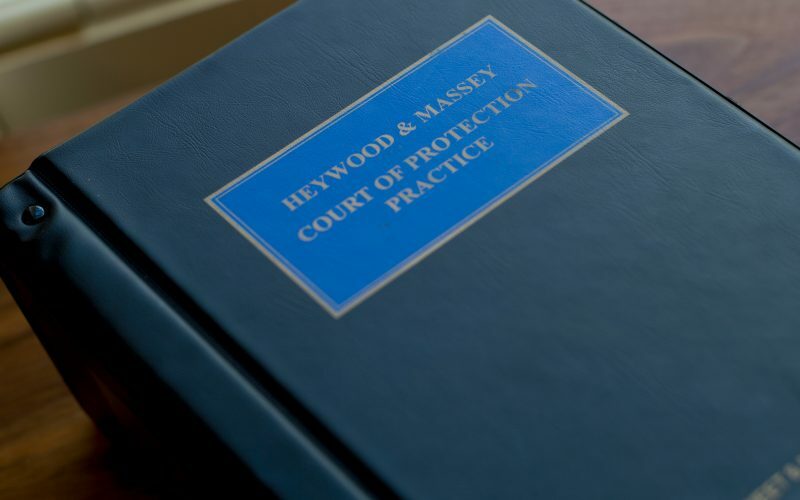 He is also a member of the Court of Protection Rules Group and editor of Heywood & Massey: Court of Protection Practice. Joseph Goldsmith appeared in Re JDS. Charlotte Edge appeared in Re M and Re A.
Ruth Hughes appeared in Re MN; Re Meek and Watt v ABC. Mathew Roper appeared in ADS v DSM. Other members of 5 Stone Buildings also practise regularly in all areas of Court of Protection work.